$60,000 is up for grabs. Is your high school going to win? Contest info: Collect the special edition maroon caps on all types of Pepsi MidAmerica products. Turn the caps into your local High School before December 15th. Each division will have a $10,000 1st place prize, $5,000 2nd place prize, and $2,500 3rd place prize. 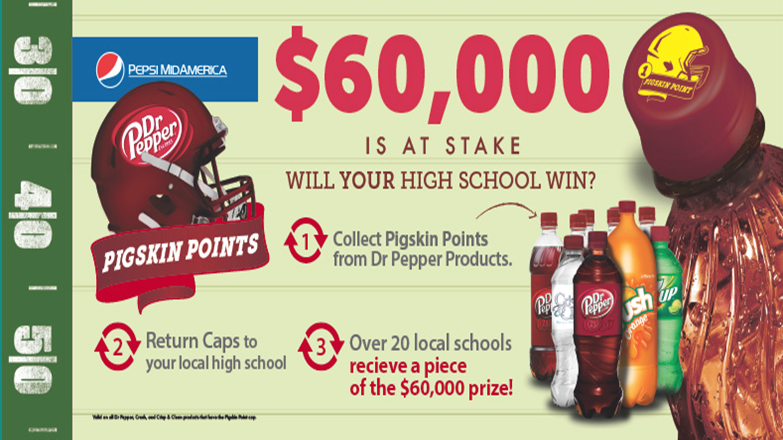 Pepsi MidAmerica will also do random draws for $500 prizes for schools on the cap collection day.